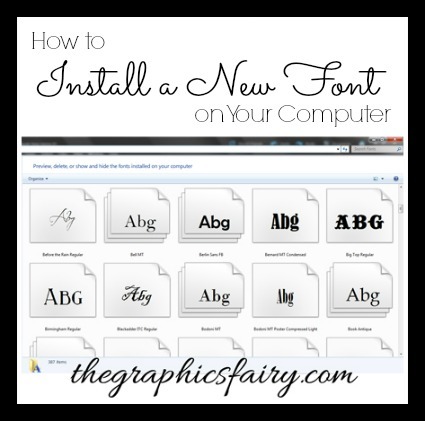 A few readers have left comments on The Graphics Fairy font posts wondering how to download and install the fonts we recommend . Today, I’m going to walk you through it. I’ll admit that it’s a little confusing at first, but by the second or third font, you’ll be rolling! These directions are for a PC, but you can go here for a tutorial on installing fonts on a Mac computer. 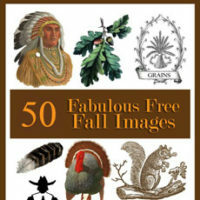 Go to a font website or click a link in one of The Graphics Fairy’s font posts to identify a font you’re interested in. There should be a button or link to download the file (see the red arrow). The font files will be placed on your computer. Mine is set up to always go to Libraries/Downloads, but your computer may be set up differently. If you’re prompted while saving, you may want identify an easy to find location on your computer (like the desktop or folder you’ve created). 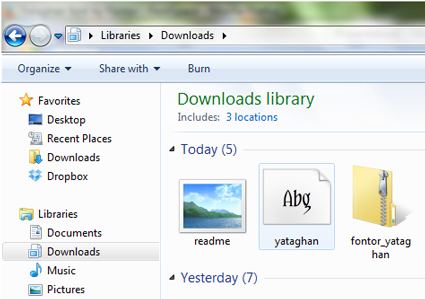 Most fonts are downloaded as a .zip file, which packages the files together to save space & so you don’t miss anything. They usually contain the actual font file your computer needs (ends with .otf or .ttf) and some user information. 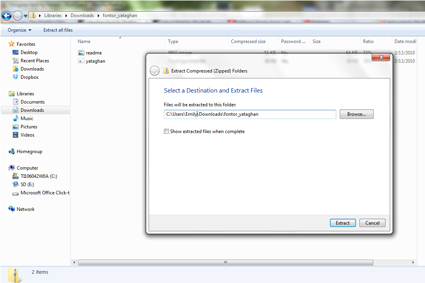 Right click on the zipped file and hit “extract all.” Select where you want the files to go. 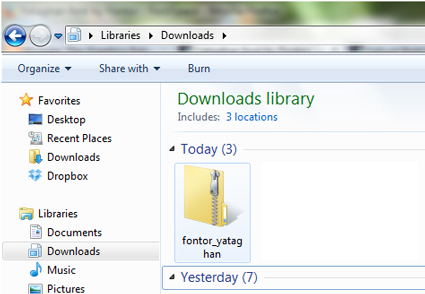 I usually just stay with the default location, which is usually where the zip file is too. Here is a view of that same file folder with the original zip folder, and then the two unzipped components – a readme file and the actual font file. Read the text file and be sure you understand the use and restrictions created by the font’s author. Open up an application, and your new font should be visible in the list of available fonts. It’s now ready to use. I have a Mac computer, not a PC. How do I install a font? * Here is a post from Beth of Homestories A to Z on installing fonts on a Mac. Are there limits to how & when my font will work? * Fonts will only work on the computer you installed it on. 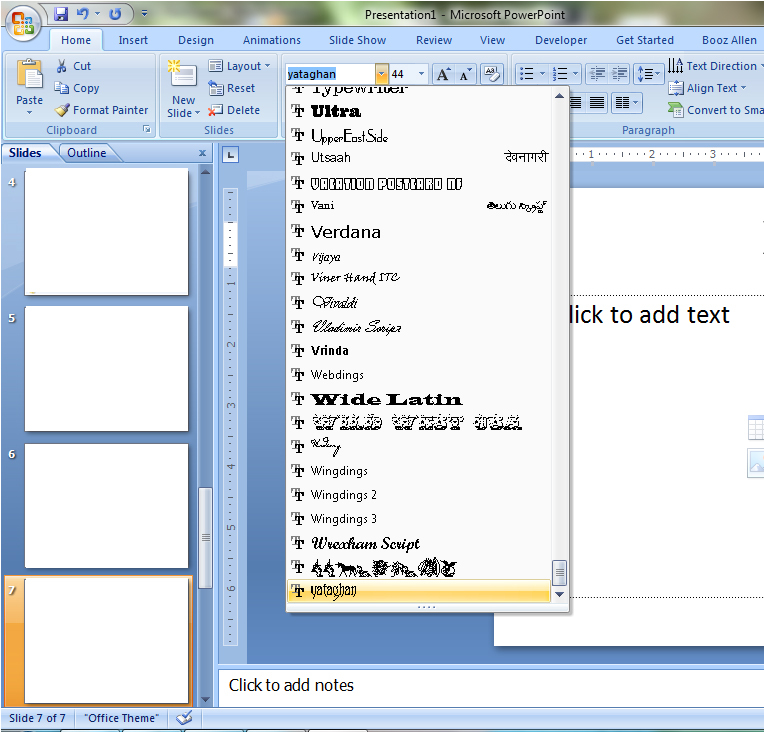 If you’re sharing word documents etc. 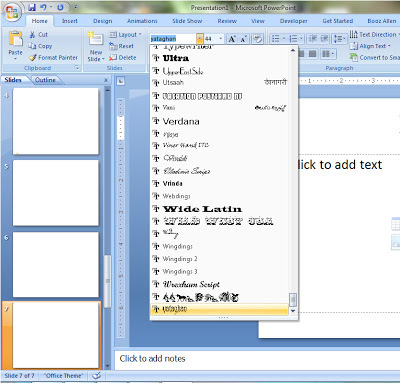 the person you’re sending the file to also has the same font installed on their computer or the font / design won’t be in the right font. A good rule of thumb is to make your projects a graphic (.jpg file) or save it as a certain file type like .pdf before sharing to preserve the font and design. What do I hit to actually download the font from the website? over the button, and look for links that end in .zip or .ttf or .otf. Always beware of anything that looks suspicious or like an ad. I downloaded the file, but I can’t find it! do a quick search on your computer for the file as well. In addition, if you’re prompted while saving, you may want identify an easy to find location on your computer (like the desktop or folder you’ve created). Can’t I just save the font file to my fonts folder and save the step of installing it? * If you’re more advanced and familiar with that folder and where it is on your computer, sure, go ahead. Since a lot of fonts are downloaded as zip files, and most computers download files to a location other than the fonts folder, we decided to include the unzipping process and installation button method in this tutorial. How do I know where & how I can use the font? 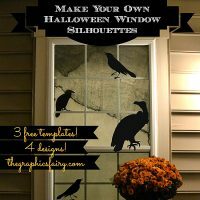 * The website you download the file from usually has some information about commercial use and licensing. 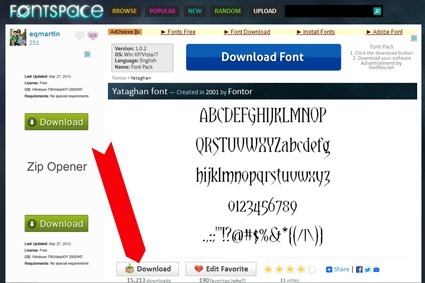 Free fonts may require a donation or purchase if you use it to mass produce something or use it in logos or websites. Also check the text file that comes with many fonts. The font author usually put the licensing terms there. I still don’t get it. Can you help? * You may want to go to YouTube and search for “installing a font on my PC.” It may help more to watch a person installing a font than reading through a tutorial. Thank you for this simple tutorial! Many times in the past I have come across a font that I would have liked to use, but didn’t know how to install it on my PC. Thanks for the amazing images you share. Love your site. Has no one ever run into an issue with free fonts? We had a computer crash a couple of years ago and the tech who fixed it told us that part of the issue was worms or walware downloaded with the fonts. Ever since, I’ve been afraid to download any fonts that we haven’t bought . Hi Edith, I’ve never personally had a problem with that, but some of those font sites can be a little iffy. Emily is very particular about the sites that she links to on all of the font posts that she puts together on my site, and only recommends the ones with the best reputations. Also, it’s always a good idea to make sure that your virus protection is up to date and that you are using the most recent version of your browser too, all of these things will help protect your computer in the long run! Thank you so much for listening and showing how to do something Ii needso badly! 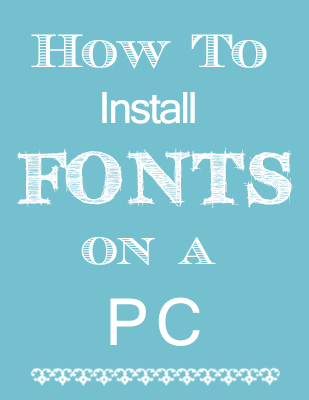 Can you lists the fonts used on your “How to install fonts on a PC” clip at the top of the post? Do I need to install a Zip file download to be able to open the zip files? Hi Susan – Not all fonts come zipped. Some are downloaded just as the font file (file type usually .ttf or .otf) —- if this is what you download, then you just install it. If the file you download comes zipped, you need to first save that Zip file to your computer. The Zip file will contain two or so files within it. One will be the font file your computer needs (the file type usually ends in .ttf or .otf) installed, and likely an overview file of the font & its restrictions written by the font’s author. You will then need to unzip the zipped file to be able to “get at” the files. Then you can install the font file to your computer and use it So, you are not installing a zip file, just saving it, extracting the files in it, and using those files. Your computer should have the necessary software to unzip a zipped file….if not, just respond back to this comment and I’ll let you know where to get it. Yes, you have to install zip to open zip folder and files. Thank you Terri for the additional info, especially about performance! 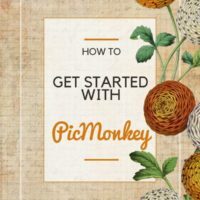 Good information for people who like to have access to and work with a huge variety of fonts for graphic design projects! Really desired to mention I am just pleased I came on your site. Hello there! Really desired to mention I am just pleased I came on your site. thanku very much. Thank you for visiting the site Sadiya, we are so happy that you did! We are so glad you came to visit Sayna! !